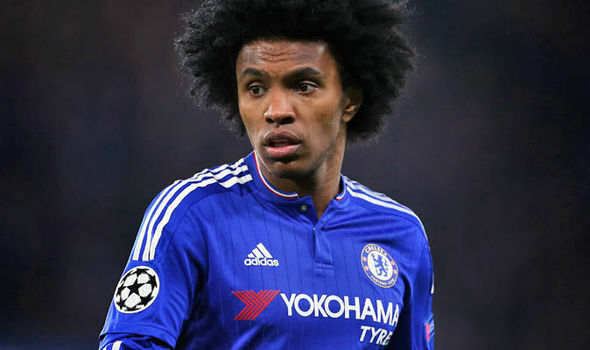 Chelsea attacker Willian is set to miss this weekends Premier League clash with Leicester City on compassionate grounds following the death of his mother, according to the Express. The Brazilian international took to Instagram overnight to publish a poem [in his native Portuguese] in memory of his late mother following her death, with the Express reporting that Willian’s mother lost her battle against cancer. Understandably, the 28-year-old is now expected to be granted permission to miss Saturday’s visit of defending champions Leicester to Stamford Bridge on compassionate leave. “All of us at Chelsea Football Club are sending our love and deepest condolences to Willian and his family after the passing of his mother. Willian started for Brazil in their World Cup qualifier against Venezuela on Tuesday night and scored the second goal during a 2-0 win that saw the Samba Boys move top of their qualifying group. However, he’s now expected to remain in South America with his family following his mothers passing with Antonio Conte likely to choose between Pedro or Victor Moses to fill-in against Leicester this weekend. Chelsea head in to the game sitting seventh in the table having won just one of their last four games but they’ll be looking to see-off the Foxes again having beaten them in the EFL Cup last month.